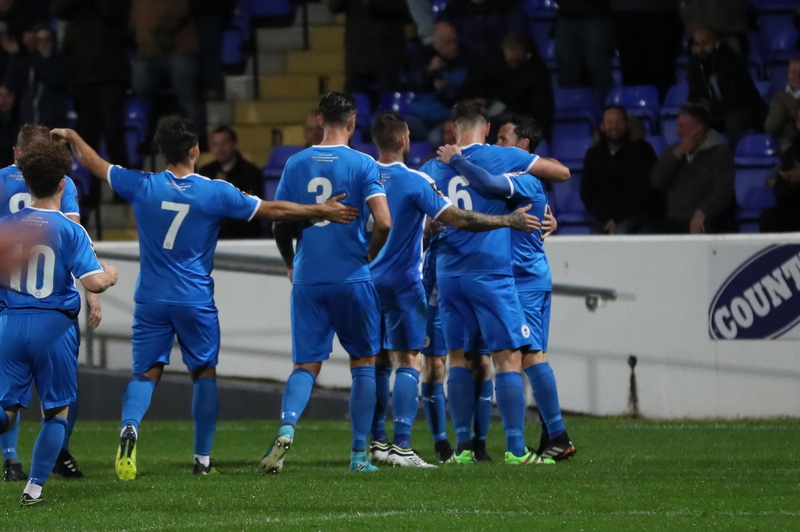 Three goals, three points, and eight games unbeaten for the Blues as efforts from Matty Hughes, Jon Pritchard and Deane Smalley saw of Hereford FC at the Swansway Chester Stadium this evening. No changes from the weekend’s draw at Chorley, as Johnson and Morley kept faith with the same XI who brought a sterling point back from Victory Park. In a competitive opening, the first chance of the game came in the ninth minute as Dan Mooney cut in from the right, but his rasping 25-yard drive was just wide of Martin Horsell’s left post. The visitors contributed to the early exchanges as Marlon Jackson volleyed over from inside the area after Danny Greenslade’s throw in had been cleverly flicked on, but within 90 seconds of that chance, it was the Blues who took the lead. After good work and battling down the left, Craig Mahon found Matty Hughes inside the box, and after a drop of the shoulder, his effort deflected past Horsell to give the Blues an early advantage on 15 minutes. 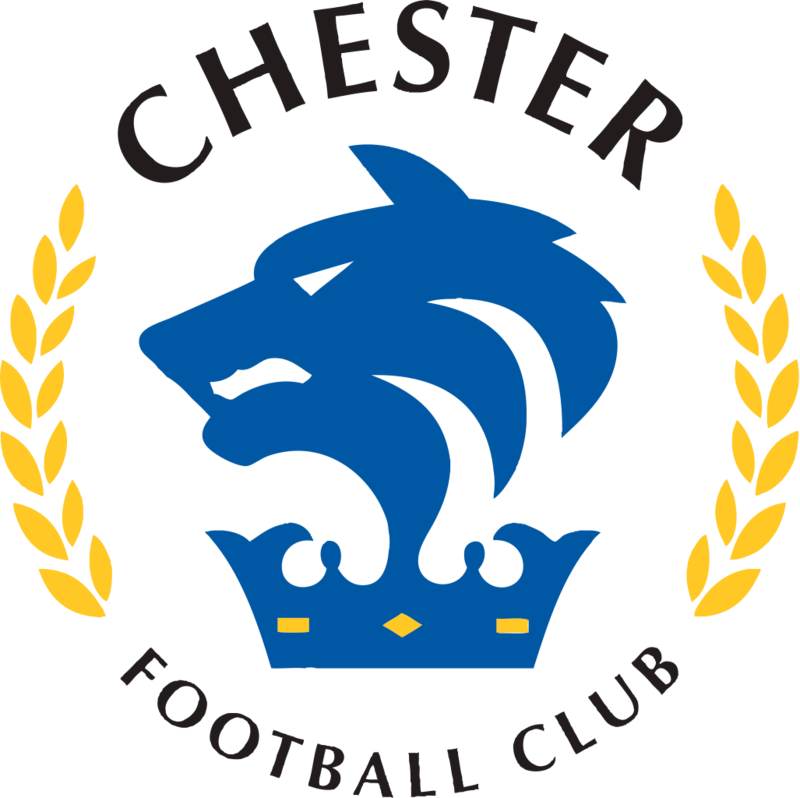 Harry White – returning to the Swansway Chester Stadium for the first time since leaving the blues in the Summer – tried his luck from range, but his curling effort was dealt with first by Shenton, then cleared for a corner by Grand. Murray fed the Blues’ no.9 through on goal, and after turning back on to his right foot, Hughes appeared to be shoved with two hands by the Bulls defender. Although that moment ended his participation in the game, his appeal for a penalty was turned away to the dismay of the majority of the 1,705 in attendance. The second half saw the Blues kick on and take things up a level, and immediately the half saw brilliant work from Dan Mooney – switching play from right to left – but Craig Mahon’s long distance strike didn’t trouble the Bulls keeper, Horsell. The Blues’ were dominant and could’ve made it two on 59 minutes as Mahon fed Mooney for a two-on-one breakaway, but the Fleetwood loanee’s effort went into the side netting after being forced wide. 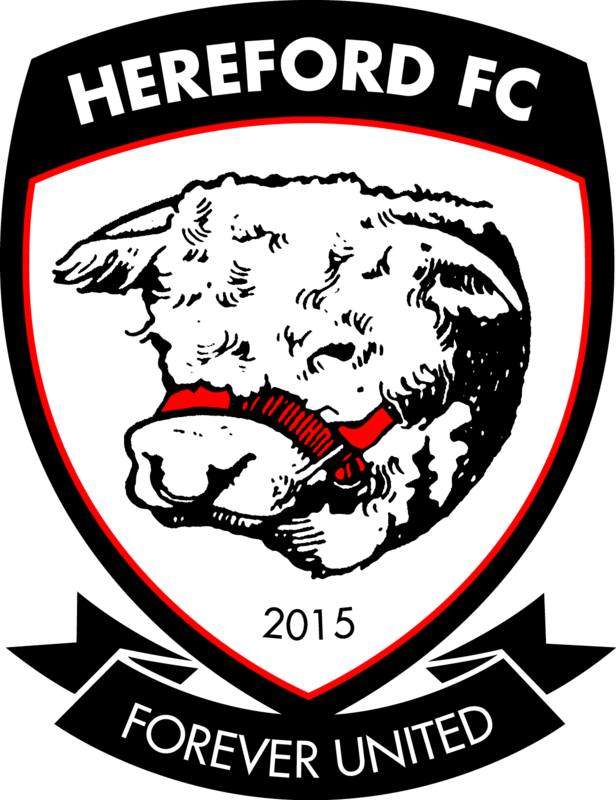 Hereford made a fist of things from that point, as Mike McGrath came close twice with headers on goal, but first a superb stop from Grant Shenton before getting his lines wrong kept the Blues ahead. From that point, the Blues took control of the game and doubled their advantage three minutes later through substitute Jon Pritchard. Good battling from Mahon and the superb Gary Stopforth in midfield, before and exquisite 50 yard pass from Dan Mooney found the lively winger, and his half volley gave the keeper no chance. The Blues pulled firther clear with a third goal three minutes from time. First, Luke Jordan sped away down the right and his pull back found Stopforth, who in turn clipped a lovely ball into Dean Smalley who headed home his first goal for the Club. Full time and up to fifth in the League as attention turns to a trip to Dunston in the FA Cup on Saturday. Subs not used: Thomson, Noble. Goals: Hughes 15’, Pritchard 72’, Deane Smalley 87’.